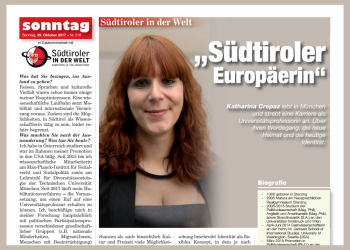 The Neue Südtiroler Tageszeitung recently featured me in a portrait series called Südtiroler in der Welt – South Tyroleans in the World. 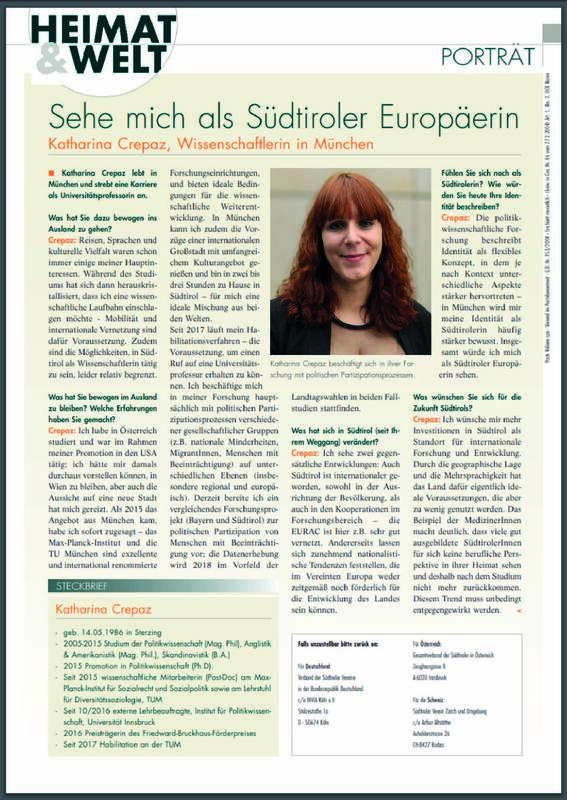 I’d like to thank the KVW, the organizer of the series, and the Tageszeitung for their interest in me and my work! 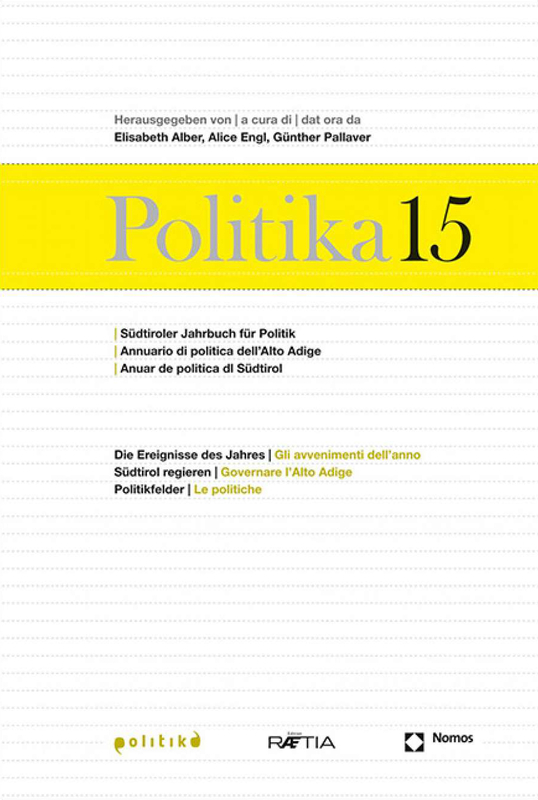 Politika 2015, the scientific yearbook on South Tyrolean politics, is now available via Nomos and Edition Raetia. 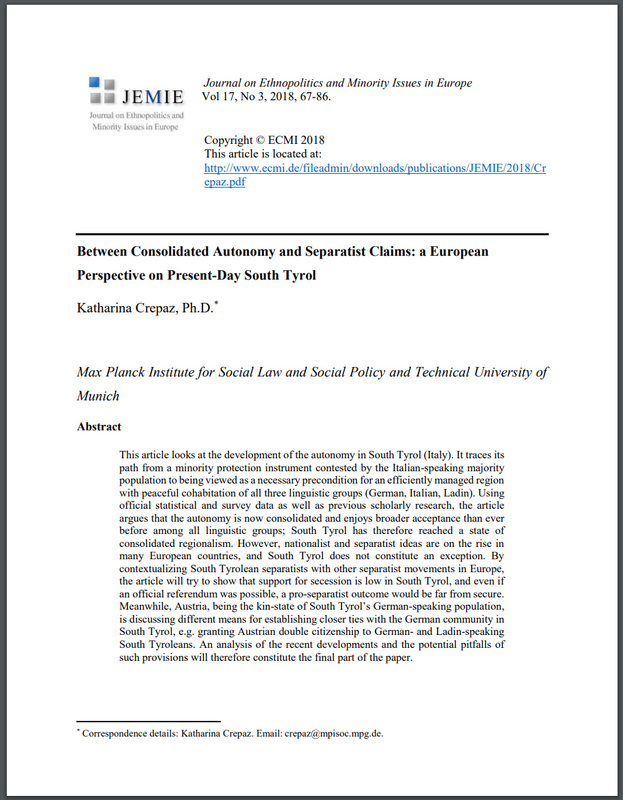 It focuses on the development of the South Tyrol autonomy regarding various topics; my contribution addresses the impact of Europeanization on European minorities, granting special attention to how such processes may impact the situation in South Tyrol and the planned ‘Autonomy Convent’. 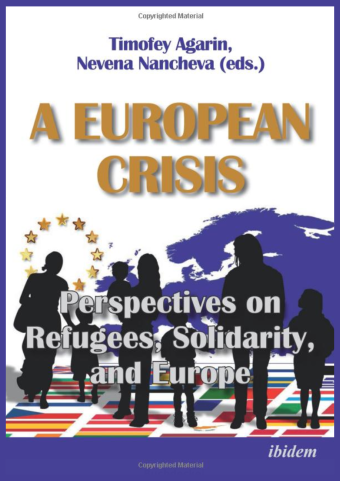 You can find out more about the book and order it on the Edition Raetia and the Nomos websites. 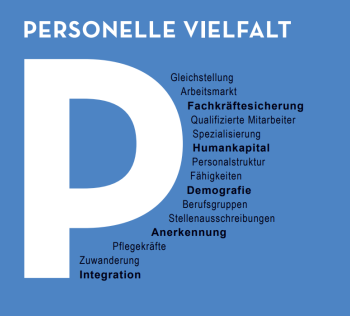 To know more about the South Tyrolean political science association Politika, click here.